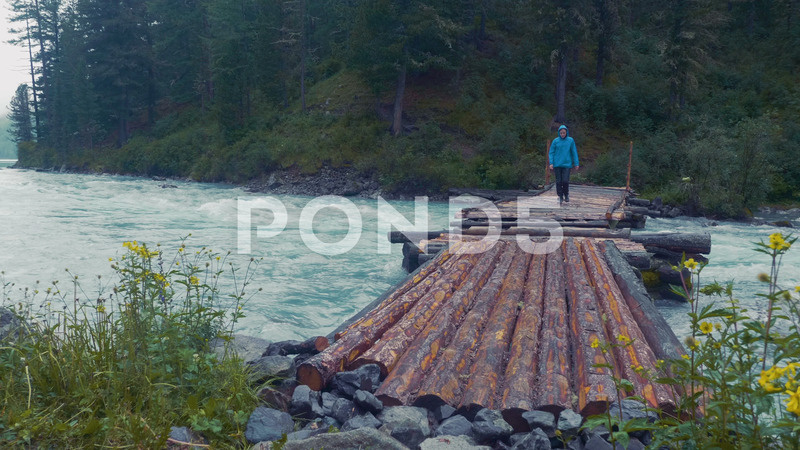 Description: Model released man hiking on log foot bridge over river into through thick forest. mountain river. bridge. girl.